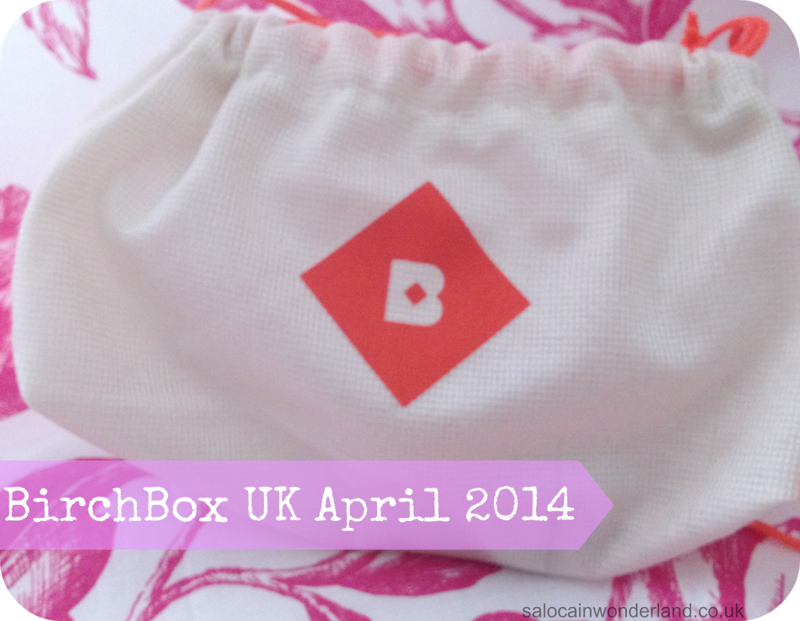 Saloca in Wonderland: Birch Box UK April 2014 - What's in the box? Birch Box UK April 2014 - What's in the box? I love coming home from work to find a brand new Birch Box on my doorstep! I’ve done pretty well at keeping my self spoiler free too so it’s generally always a surprise what’s inside. This month was no different, and knowing Spring is in full swing now, I was expecting some Spring-tastic goodies. This month, the Birch Box team are taking inspiration from local food markets and kitchens to come up with a box that’s, good enough to eat. From foodie scents to indulgent elements, the contents of this months box are sure to get your mouth watering and your taste buds tingling. So, now that I’ve got you thoroughly salivating, lets have a look inside at Aprils Birch Box UK goodies! 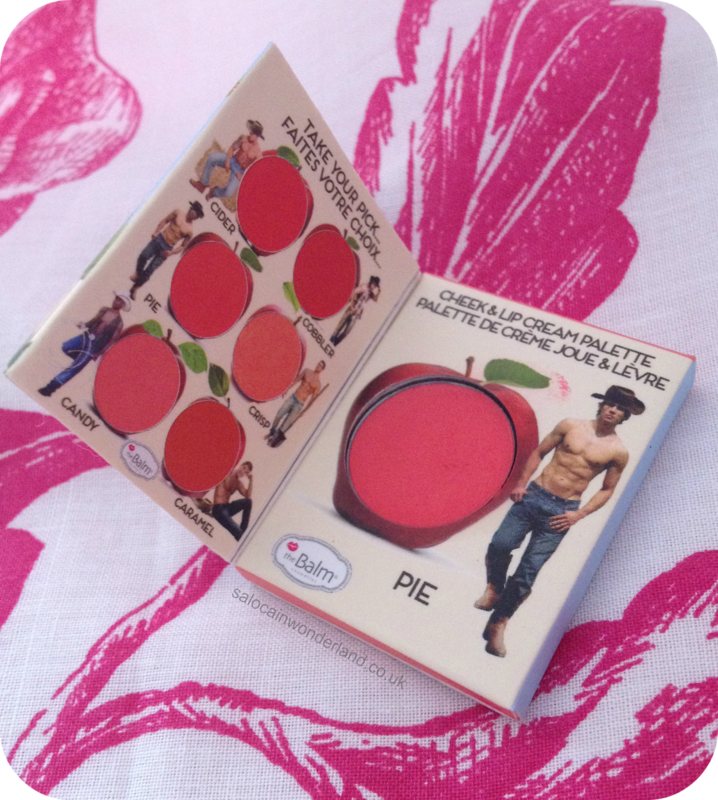 So not only is the packaging to die for, but the shade I received, pie, is oh so pretty indeed! 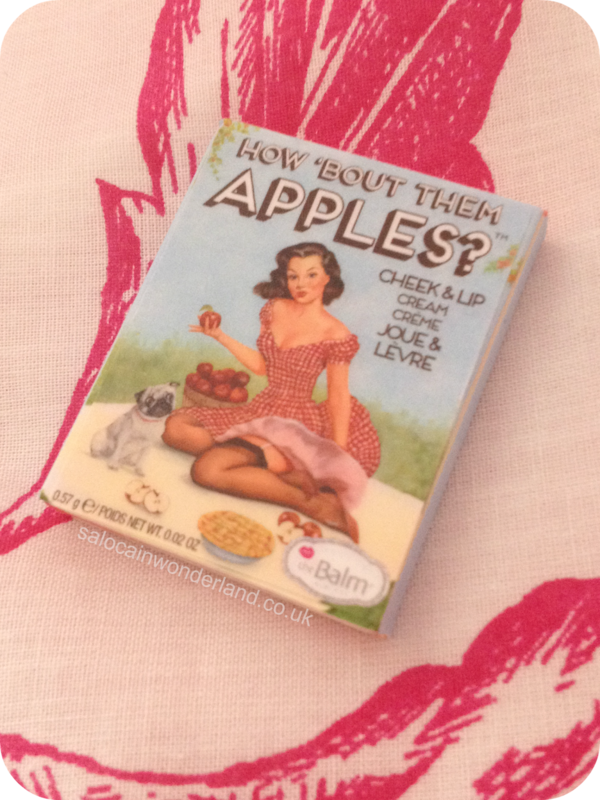 This creamy lip & cheek balm is perfect. It’s also the perfect size too, for traveling and days out. 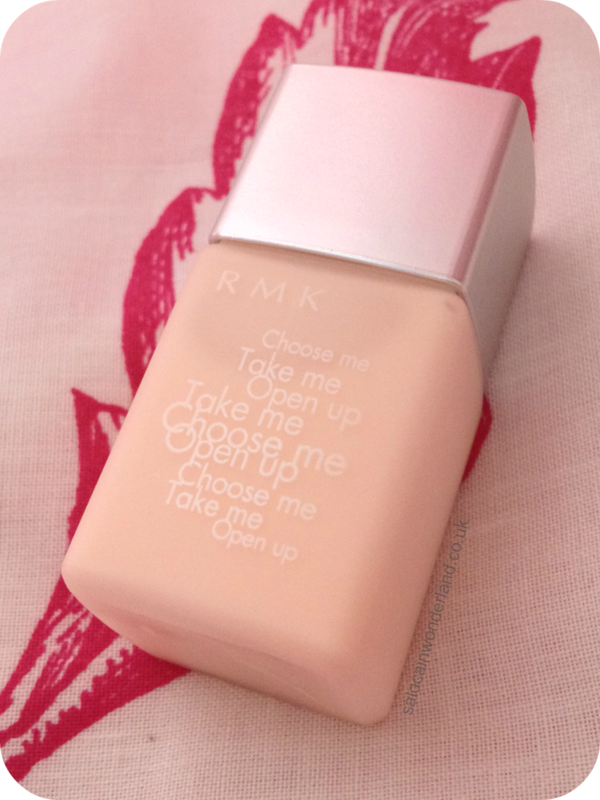 I’m not the biggest fan of cream blush but as a lip colour I love it. The pink really pops on the lips, and a quick coat of clear gloss finishes a perfect Spring lip! It feels lovely on too! Not a brand I’m familiar with, this pearlescent light weight formula evens and hydrates the skin prior to applying foundation. I’ve yet to give it a full test drive but on the surface it seems really hydrating and smells quite nice too! 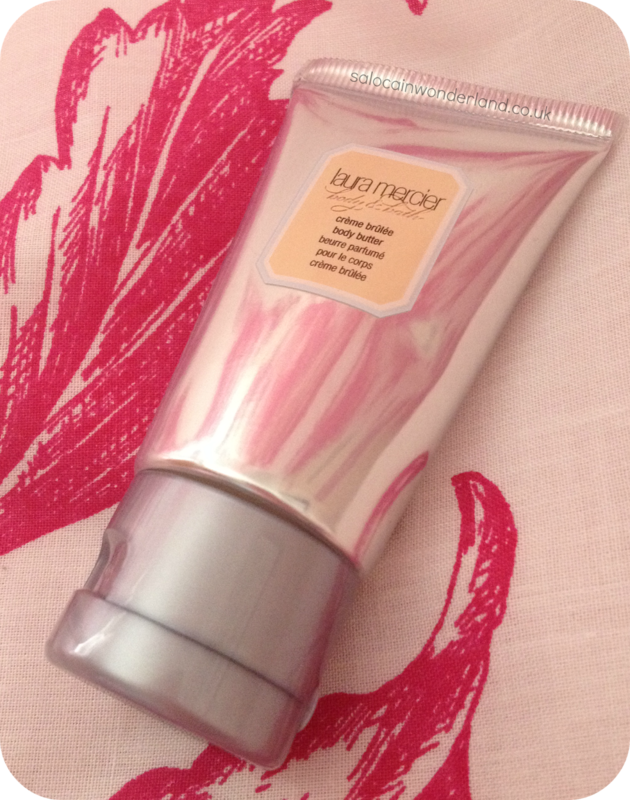 Will it replace my Laura Mercier primer though? Based on a collaboration with London based Spanish blogger, Gala Gonzalez, I received the shade Heirloom Pearls from the 4 shades available. Now, this isn’t a shade I would have picked out for myself, the blues and greens caught my eye, but after a quick test coat I’m intrigued. It’s a very white polish that doesn’t have half as much shimmer in as you would think, but I kind of like it. I’ve never been a fan of white nail polish but this one does look very pretty in the sunshine. I won’t lie, I squeal every time I find a little Laura Mercier goodie in my Birch Box, and I’ve been lucky to pick up quite a few over the last few months. 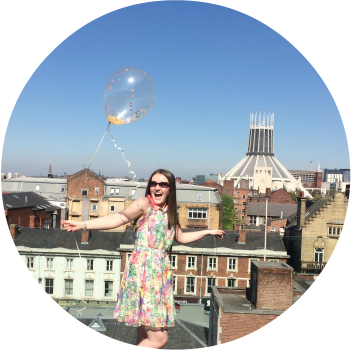 I’m also wondering…are the Birch Box team sneakily reading my blog? I’m in love with Crème Brûlée right now, it’s my favorite dessert and this body cream smells exactly like it. This sample sized body butter is perfect for my up coming trip – it’s gone straight out of my Birch Box and into my suitcase! 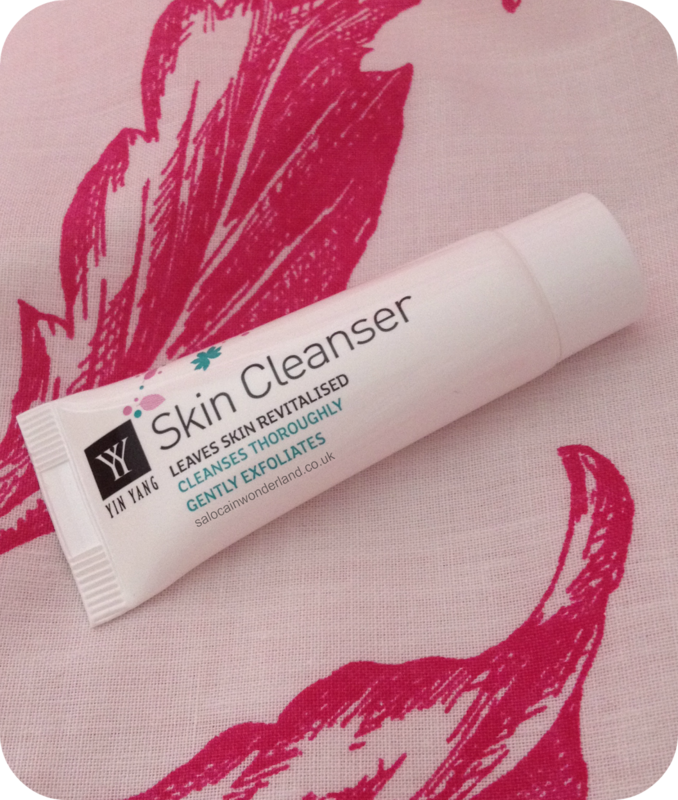 Not a brand I’m familiar with and usually I’m less than impressed with sample cleansers but I have to say, this one smells amazing and feels lovely on the skin. It’s an all natural skin balancing cleanser containing coconut, sweet orange and wheat germ oils. I also love that it’s British made too. Will be giving this a try and reporting back! 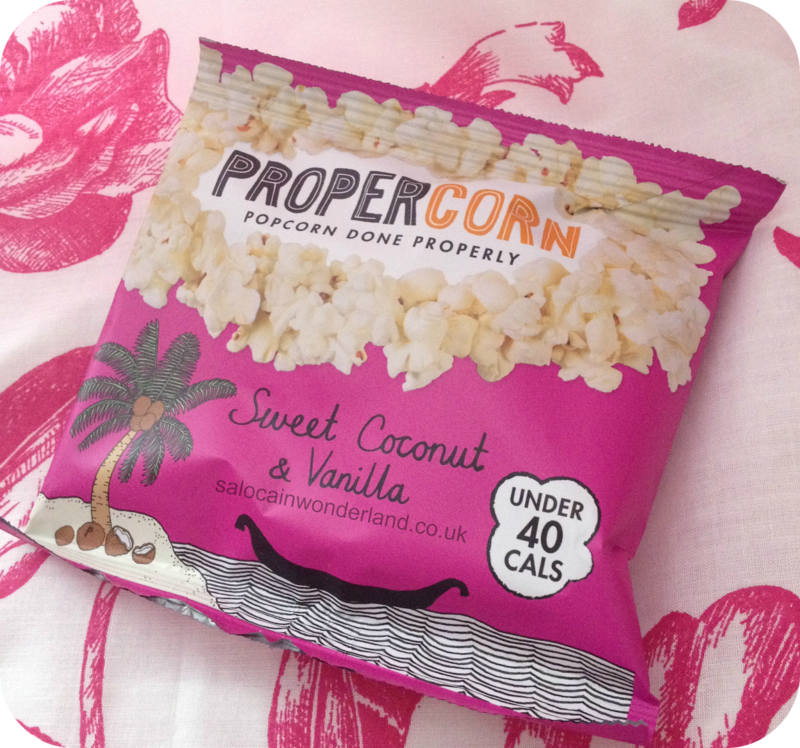 I loved my last sample bag of Propercorn and have picked it up a few times in the supermarket since. I'm munching on this as I write and it's delicious! Full of flavor, it tastes like summer! I will have to pick up some more of this! Which of the above products is tickling your fancy this month? Did you get anything different in your Birch Box? Let me know in the comments below! aw! everything looks super cute! Great box this month! Still super happy I switched from Glossy Box to Birch Box! You should do! It's like a little gift through the letter box every month hehe!